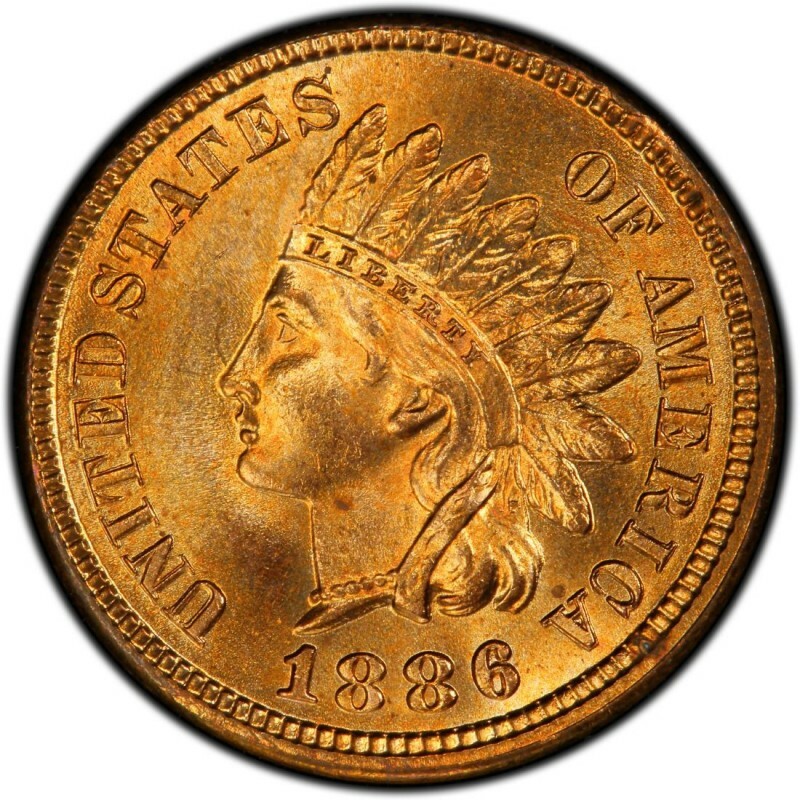 1886 Indian Head cents are quite common and are frequently found in mixed-date rolls of Indian Head cents. They’re also easily located at most U.S. coin shops. 1886 pennies aren’t particularly difficult to find in any of the circulated grades or the lower uncirculated grades, and they are usually purchased by coin collectors for inclusion in Indian Head series collections or 19th-century type coin sets. 1886 pennies are identified as two varieties, which are attributed as Type I and Type II pieces. 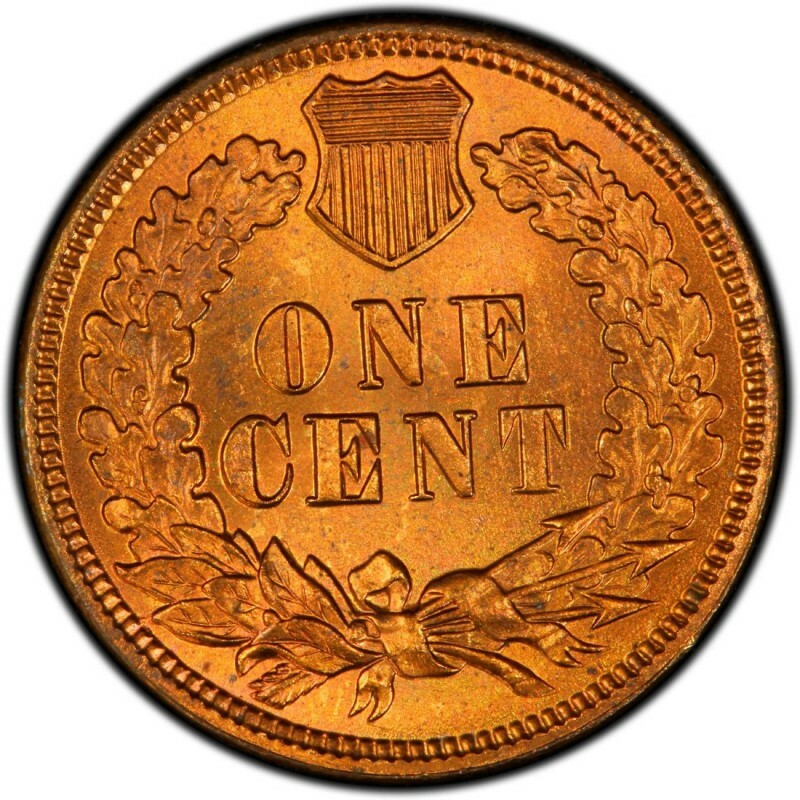 Type I pennies show the last feather of the headdress pointing between the “I” and “C” of AMERICA. The Type II obverse shows the feather pointing between the “C” and “A.” The Type I obverse was used on Indian Head cents minted from 1859 through mid 1886, whereas Type II designs were minted from mid 1886 until the end of the series in 1909. All told, 17,650,000 business-strike pennies were made in 1886, with the Type I and Type II varieties included in that mintage. 1886 Type I pennies retail for $3.75 in Good-4 whereas Type II pennies sell for $7 in the same grade. 4,290 proofs were also made in 1886; Type I proofs retail for $2,650 while the costlier Type II sells for $7,500.